Why was it such a powerful shower do you ask? 2. That I should talk to Dad about actually starting the memoirs he's been talking about for years. Well, I'm sure you can guess. Yes. I started to meet really interesting women (and it is only Tuesday morning!). On Sunday evening I went to a friend's birthday gathering. The friend's sister was up visiting from Melbourne. Lou is a fabulous young going through some really interesting life overhaul changes and is moving to India. Bingo, I asked if she would be interested in being my first interviewee and she said yes! 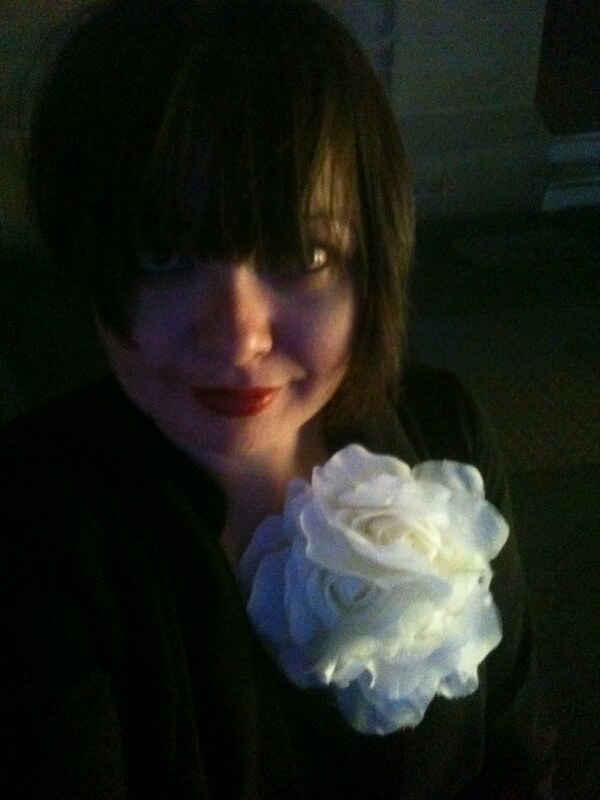 Then last night, I put on my artistic outfit and trotted out to visit a friend's father's photographic exhibition. My Artistic Look last night - Flower Power and looking a bit vampy! The photos were beautiful double exposures of leaves and Sydney scenery. It really inspired me to get cracking with a camera. I've found that you do look at the world quite differently when you think of it in frames. Anyway, I met another interesting young woman who has come back from a holiday in Morocco, Dubai and Thailand who is an interior designer. We had a chat about her views on going back to study, design and the impact it can have on people. So voila, I have sourced another lady to interview! Then on Monday morning, Daddy-O came downstairs and said that he is going to start working on his book! So there you go - those Sunday shower intentions were powerful!!!! And I didn't even do it that consciously. So what will happen if I do?? What are you putting out there? 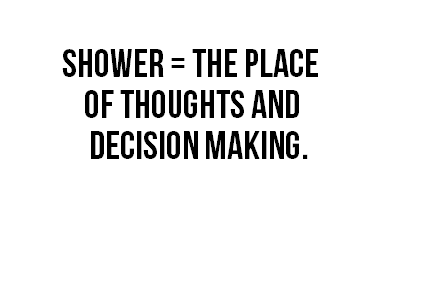 Do you use the shower for dreaming, planning and setting intentions?